Even as the Central Drugs Standards Control Organisation (CDSCO) has set the ball rolling for BA/BE (bioavailability/ bioequivalence) submissions, the pharma and biotech industry in the country sees the need to re-engage with drug regulatory authority to clarify the said rules, said Dr. BR Jagashetty, former National Adviser (Drugs Control) to Union ministry of health and family welfare & CDSCO and former Karnataka Drugs Controller. It was in January 2014, the CDSCO had released the draft guidance document to streamline the approval process for conducting BE and BA studies with human participants in India for export purposes. Later vide Gazette Notification No. GSR 327 dated April 3, 2017 amendment to various rules of Drugs and Cosmetics Rules have been carried out incorporating biopharmaceutical classification system (BCS) based on solubility & permeability and also making it mandatory for industry to submit the results of BE studies referred to in Schedule Y along with application for grant of a license of oral dosage form specified in Category II & IV of BCS. But the issue is that although the State Licensing Authorities (SLAs) are empowered to approve the drugs, they are not trained in this specific area. 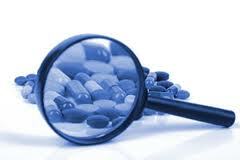 Hence without training, the issuing of such amendments is of no use, Dr Jagashetty told Pharmabiz. It is important that notifications coming from the CSDCO should be comprehensive and complete. In the instant case for grant of license by SLA, it is essential to classify the oral dosage form of drugs into Class II and IV drugs as per BCS and it is understood that the same is to be released yet. Also the inclusion of these drugs in the Indian Pharmacopoeia is also important with details of its testing methodologies etc, said Dr. Jagashetty. Stating that there are also decision discrepancies on the BA/BE studies between DCC and DTAB, he said that a consensus was much-needed. For instance, during the 47th DCC meeting in July 2014, it was recommended as “BA/BE studies in respect of drugs manufactured in the country shall be insisted whenever there are issues relating to patient safety and variable bio-availability. As the infrastructure to conduct such studies is not uniformly available, it cannot be implemented as rule”. However at the 72nd DTAB meeting of June 2016, it was recommended that submission of BE data should be made mandatory prior to grant of license for the manufacturing of drugs in the country and to begin with it may be made mandatory for Category II & IV drugs after classification as per BCS. For the drugs already marketed in India, three years time may be given of submission of BE studies. It was also mentioned to form a group to suggest modalities to identify the reference drug to conduct of BE studies, which is yet to be done it is learnt. Therefore though CDCSO sets the momentum for BE submissions by notifying in the Gazette, the industry needs to re-engage with state regulators with proper training, to clarify rules, for proper list of Category II & IV, reference substances, test methods etc, said Dr. Jagashetty.